Why Was It In Wendy's TBR? : St. John is an autobuy for me. I still have a few of her older backlist titles buried in the TBR, and this was one of them. The Review: I haven't read a St. John yet that I didn't like. That being said, the plot description of this particular story sounds like an aneurysm just waiting to happen. Besides the sheer, insurmountable volume of my TBR, that's probably the main reason why this story languished for so long. I should have never had any doubt however. Why? Because I had forgotten what St. John does so well - and that's write characters who aren't prone to dramatics. Hallie Wainwright wants two things in life: 1) to be a newspaper reporter and 2) for her father to take her serious. Her father runs one of the many papers in Boston and she's desperate for him to see her as a vital part of the family business, much like her two brothers. However they think Hallie is just a pest and decide to give her an assignment to keep her out of their hair. Like many newspapers, they run ads. Some of these ads are from men out west looking for brides. So Hallie is dispatched to interview some of these potential brides and write a puff piece. Low and behold, she does. Then Hallie overhears her brothers talking about how the whole thing was just a ruse, and kind of a surprise that the piece was so well-received. Shortly thereafter she learns that one of the brides, her main contact for the story, is breaking off her "engagement." Feelings already bruised, Hallie decides to travel with the remaining brides to North Dakota and write a follow-up story. Since the first piece was a hit, this one will probably be even bigger and then, just maybe, Daddy will open his eyes. Naturally things don't go smoothly. 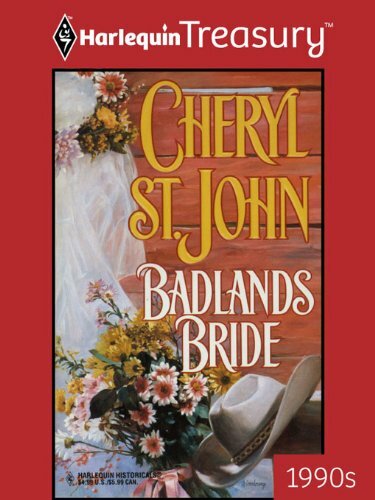 Their stagecoach gets robbed and Hallie ends up shooting one of the bandits. Cooper DeWitt is white, but was raised by the Sioux. With the tribe forced on to reservations, Cooper comes up with a plan. He grabs up some land (it pays to be white) and starts a freight company. Hauling freight means he can get supplies to the tribe, plus business is good. Money fixes a lot of problems. He advertises for a wife because of his sister-in-law's son. When his Sioux brother died, it is tasked to Cooper to look after his wife and child. Cooper realizes that for Yellow Eagle to have a life and help his people, he's going to have to learn to read and write. He's going to have to play on the same field as the white man. And for that? He needs someone to teach the boy. What he didn't expect was Hallie. Not only did she shoot a bandit but she claims to be a reporter (of all things!) and isn't his intended bride! Plus having been robbed, she has no money and no way to get back to Boston. Whatever shall they do now? What they do, of course, is enter into an arrangement. She'll teach Yellow Eagle, help Cooper set up accounting on his business and in exchange he'll pay for her ticket back to Boston once the stage rolls back their way. It's a pretty desolate part of North Dakota, which means Hallie's going to be there for a while. Which, of course, means that these two will eventually fall in love. The conflict has all the potential to be a hot mess. Reporter heroines have a bad reputation in the genre, mostly because they are easily prone to too-stupid-to-live shenanigans. Hallie rashly deciding to head west all in the name of a follow-up story in the hopes of finally getting Daddy's approval sounds really, really unpleasant. However, it totally works here. Why? Because St. John makes me understand Hallie. Yes, she makes a rash decision. But you know what? You understand why she does it. She does it because she's a woman ahead of her time who keeps getting figuratively backhanded by the very people who should be her biggest supporters. Plus it helps tremendously that she's not a drama queen. Hallie is not one prone to theatrics, praise the Lord. Cooper is a very interesting character and I felt the author handled his back story well. I especially appreciated that she didn't travel down the "he was kidnapped!" plot thread. Cooper went to live with the Sioux under other circumstances, which I found refreshing. The main conflict for him is that Hallie is a "city girl" and North Dakota is a very harsh reality in comparison. When he starts developing feelings for her, he wrestles with what this will mean. He would never be happy in Boston and she could never be happy in the Badlands, could she? The secondary characters add to the story and keep things rolling along. This is a good solid western with believable conflict and no over-the-top shenanigans. St. John writes about nice people who you want to live happily ever after. They're good, solid folks. Already in the mood for a western, I inhaled this in one day - making this a good, solid read. This sounds like a good story. I'm glad the author didn't use the kidnapping theme, too. I haven't read a western in a long time, but this sounds like a nice one. I love St. John's books and I believe you when you say that she makes this story work. She has the touch. I need to check my TBR to see if I have this book, if not I will look it up. I don't think I've ever read Ms St. John's books. I know that I have one or two in the TBR pile, but western is really not my favorite genre ^_^; Glad you enjoyed it, because seriously, you're right, this could have been a hot mess. S and Hils: If you've liked St. John before, you should like this one. It's not a favorite for me, but it's a very solid read. Hit the spot this month since I had been craving a western.